For years, Jaguar chief designer Ian Callum has been behind all those sweet Jags you drool over. He's left as much of a mark on the company as anyone in the past few decades, and now he's turned his attention to a classic Mark 2 Jaguar that predates, well, most of Jaguar's history. Amazingly, the Jaguar restoration company he worked with to produce this masterpiece is actually going to make a limited run of what they're calling Mark 2 by Callum. 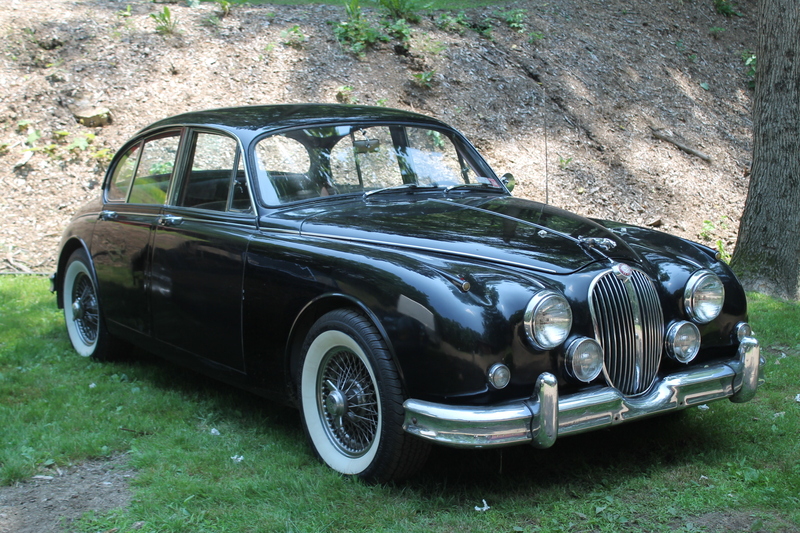 To the untrained eye, it looks like a normal, albeit exceptionally nice, Jaguar Mark 2. But take a closer look, and you'll see that the railroad ties that the original car called bumpers are gone, replaced with a flush-mounted piece that looks like it should've been there all along. Under the hood, a larger and more powerful engine from an old Jaguar XK has been installed, then souped-up further. Because why the hell not? It's been lowered by 30 mm, too, which helps with handling. And those 17-inch wire wheels are to die for. But this car is about understated performance, so you may not have noticed the one truly unique feature. Those slots behind the wheel? They're actually functional. Callum put those there both as an homage to vintage racing cars and as a means of bettering the airflow around the engine to keep it cool. Inside it's been freshened with an ash dashboard and gorgeous red leather. Also, it's been modernized with a sound system that's not only high tech, but put together using the same wiring used in recording studios like Abbey Road. Now might be a good time to upgrade your old MP3s. Aaron Miller is the Rides editor for Supercompressor. He's been an Ian Callum fan since the Aston Martin DB7. Follow him on Twitter, where he still doesn't own an Aston.